Just present your Disney® Visa® Debit Card to enter. The private Cardmember location at the Star Wars Launch Bay in Tomorrowland. Your discount is available at select Disneyland® Resort locations and pin cart locations throughout the Resort. Use your Disney Visa Debit Card and mention this offer. Use your Disney Visa Debit Card and mention this offer to receive the discount. See participating locations for hours of operation. 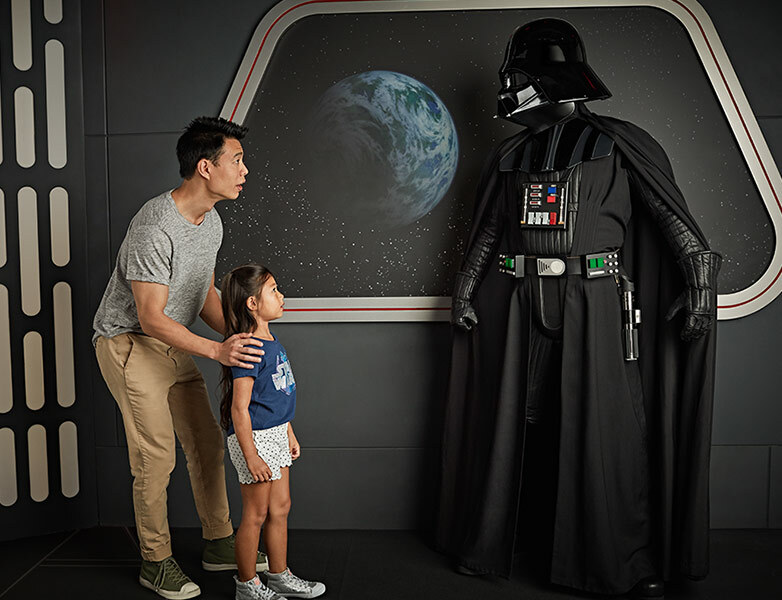 The Character Experience Photo Opportunities are offered daily during set hours–the Disney Character Experience is at Disney California Adventure® Park and the Star Wars Character Experience is at Disneyland® Park. Separate Theme Park admission required for each Character Experience Opportunity. 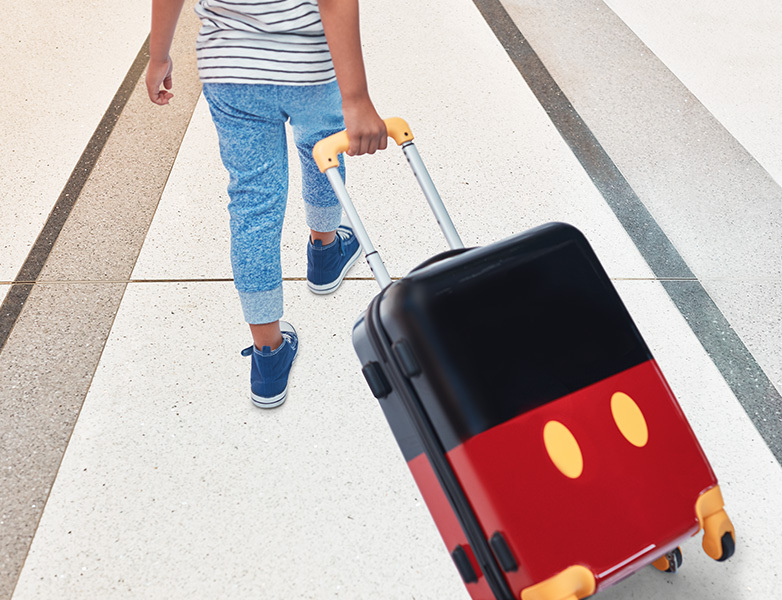 Must present a valid Disney Visa Card for entry for up to 6 people per cardmember account (each cardmember account may be used for entry only one time per day). Operating times, days of the week, locations and appearance of Characters may vary and are subject to restrictions and change or cancellation without notice. 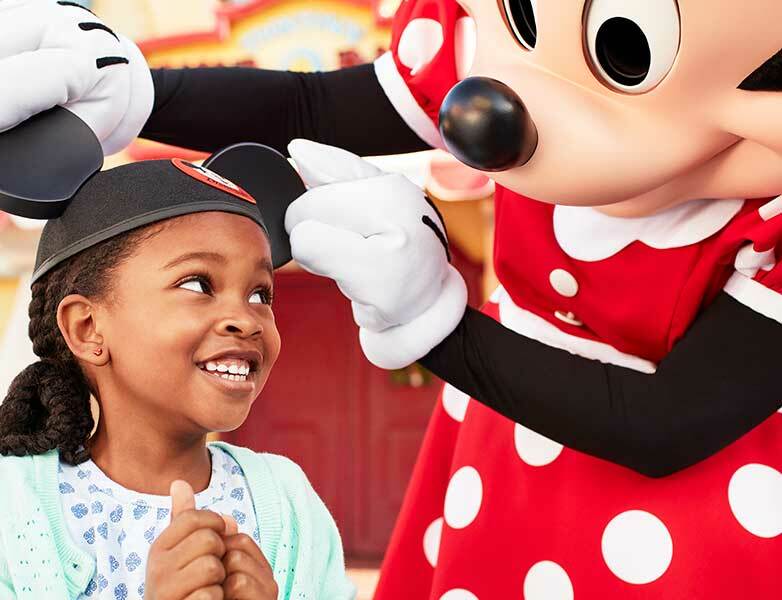 Offer includes complimentary downloads of your Disney PhotoPass® photos taken at the Disney Visa Character Experience location that are associated to your Disney account. To access complimentary downloads of your Disney PhotoPass® photos taken at the Disney Visa Character Experience location, go to Disneyland.com/photopass and log-in using your existing account or create an account. 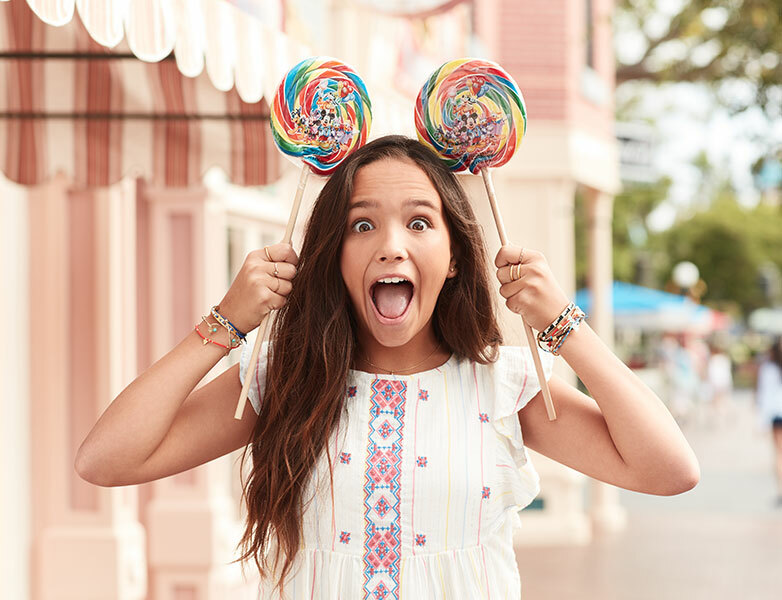 Any medium scanned by the photographer at the time of capture must be linked to your Disney account or you may claim Disney PhotoPass® cards provided to you by the photographer by entering the Disney PhotoPass® ID number found on the back of your Disney PhotoPass® card. One photo session per valid cardmember account per day. Offer not valid for photos taken at other Disney PhotoPass® locations or attractions photos. Photos will expire pursuant to the expiration policy at Disneyland.disney.go.com/photopass-expiration-policy. Not responsible for missing, lost or damaged photos. Not valid in combination with other offers, discounts or promotions. Offer is for personal use only and may not be transferred or resold. Please visit DisneyDebit.com/Perks for additional information. Offer and offer elements including, but not limited to, participating locations and eligible items, are subject to availability and additional restrictions and exclusions, and may change or be canceled without notice. A $50 minimum pre-tax single transaction merchandise purchase is required to receive discount. Must use your valid Disney Visa Card and/or Disney Rewards Redemption Card as payment form and mention this offer. Discount is not valid on previous purchases or on purchases of the following: ticket media, Disney Gift Cards, Park Admission, Arcades, tobacco, alcohol, Outdoor Vending (e.g., in-Park balloon vendors, glow vendors), postage stamps, rentals (e.g., strollers, ECVs), personalization, Disney PhotoPass® purchases (e.g., purchases through any application, website or onsite sales location), Disney PhotoPass+, Disney MaxPass, select print packages, framed Disney Dollars, Artist Sketch Program, original or consignment art, select limited editions, select specialty items, purchase-with-purchase offers, newspapers/periodicals, books, videos, DVDs, CDs, sundries, pantry/prepared foods, digital/video/disposable cameras, film, consumer electronics, National branded fragrances, treatments and cosmetics, Swarovski® Crystal, select collectibles, handmade items, special orders, select product launches, select premium branded items, phone, email or mail order purchases, shipping or taxes. Discount does not apply at the following locations: Games, Fairytale Arts, Silhouette Studio, Portrait Artists, Parasol Cart, Crystal Shops (Crystal Arts and Cristal d’Orleans), face painting locations, or at any Downtown Disney® District location other than World of Disney® Store, Disney Home, WonderGround Gallery, Marceline’s Confectionery, Disney’s Pin Traders, and The Disney Dress Shop. Not valid in combination with other offers, discounts or promotions. Separate admission may be required. Discount is for personal use only and may not be transferred or used to purchase merchandise with the intent to resell the merchandise. Offer and offer elements including, but not limited to, participating locations and eligible food and beverages, are subject to availability and additional restrictions and exclusions, and may change or be canceled without notice. Offer excludes alcoholic beverages, select new food and beverage offerings, merchandise, tobacco, room service, holiday buffets, tax and gratuity. Must use your valid Disney Visa Card and/or Disney Rewards Redemption Card at time of purchase. Discount valid at the following restaurant locations: Disneyland® Park: French Market and River Belle Terrace; Disney California Adventure® Park: Cocina Cucamonga Mexican Grill, Wine Country Trattoria, and Paradise Garden Grill; Disneyland® Resort Hotels: Steakhouse 55, Disney’s PCH Grill and Storytellers Café. Subject to restaurant operating hours and closures. Not valid in combination with other offers, discounts or promotions. Separate admission may be required. Discount is for personal use only and may not be transferred or resold. 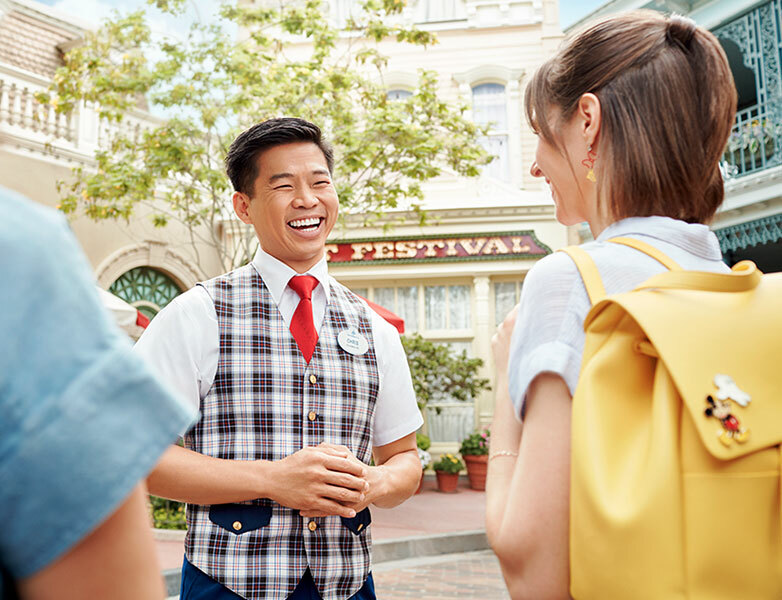 Offers and offer elements including, but not limited to, participating guided tours, are subject to availability and additional restrictions and exclusions, and may change or be canceled without notice. Must use your valid Disney Visa Card and/or Disney Rewards Redemption Card at time of purchase. Separate Theme Park admission required. Cardmember must participate in the guided tour. Guided tours can be booked for up to 10 total Guests (inclusive of the cardmember). Some guided tours have age and other restrictions. Not valid in combination with other offers, discounts, promotions or with any previous purchase. Guided tour reservations are for personal use only and may not be transferred or resold. Offers and participating locations are subject to availability and restrictions and may change or be canceled without notice. Must use a valid Disney Visa Card for purchase and mention the applicable offer. 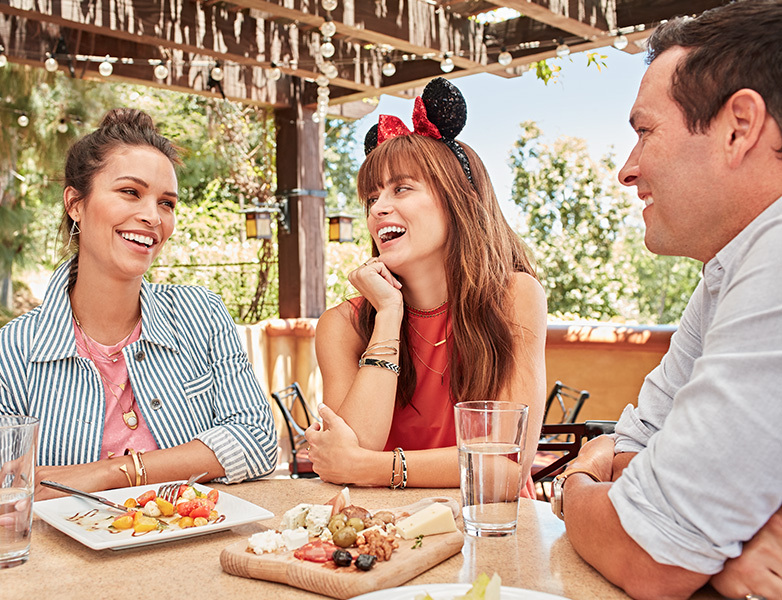 Respective offer is provided and fulfilled solely by the applicable Downtown Disney® District restaurant or retail location at the Disneyland® Resort. Disney and Chase are not responsible or liable for fulfillment of such offers, products or services. Not valid on taxes or gratuity. Not valid in combination with other offers, discounts, promotions or with any previous purchase. See retail location or restaurant for full details. California Limited: Not valid for online orders. Mandara Spa at Disney’s Grand Californian Hotel® and Spa: Excludes spa packages. © 2019 JPMorgan Chase Bank, N.A. Member FDIC. © Disney and its related entities.